Earlier this year, former teacher Andy Kershaw embarked on his lifelong ambition to open his own restaurant, with his wife Kate Kershaw. Nothing could have prepared both Andy and Kate for the overwhelming success that the Surgery Restaurant has had in it’s first four months since it opened. The restaurant has gone from strength to strength; priding itself on an experience that goes beyond the delicious food. The Surgery team deliver a social experience, based around people making time for each other. 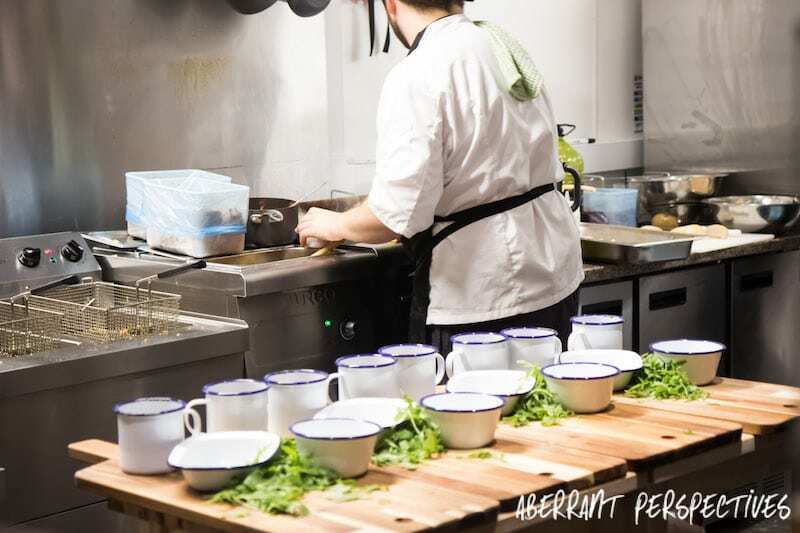 They’ve been working hard to build a reputation that delivers high quality food whilst maintaining a relaxed and stylish environment. “We’re all about family” says Andy during his speech to a packed out launch event for their new menu. “We’ve had a whirlwind four months. We’ve worked hard to come together as a team and provide our customers with an experience that brings everyone together”. The Surgery Restaurant has had a fantastic response and is quickly becoming a popular location for families, couples and friends to meet for a meal. 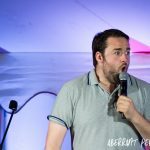 Within its first four months it has had visits from well known celebrities such as Nikki Sanderson, Keiron Richardson, Jason Manford and many more. The local people of Urmston have also struggled to get tables due to it’s popularity. Last night (Tuesday 1st August) was the launch event for the new menu. The restaurant was full of people excited to experience Andy’s latest culinary treats. Amongst the guests were a few celebrities; Lauren Simon (The Real Housewives of Cheshire), Kieron Richardson and Sarah Jane Dunn (Hollyoaks). The conversation was far from lacking in the Surgery last night. Lots of people were there, the hot topic of discussion was the flavour filled food. It was displayed in a way that encouraged everyone to photograph the artistry of the food, before tucking in. The seriously talented Mike Dignam performed a fabulous set throughout the evening. His wonderfully relaxing tones added a special touch to the atmosphere. The new menu launch event was organised by the fantastic team at Ledigo PR, (they are a much needed necessity for any event). The new menu has an amusingly named starter range, the “Pre-op’s”. 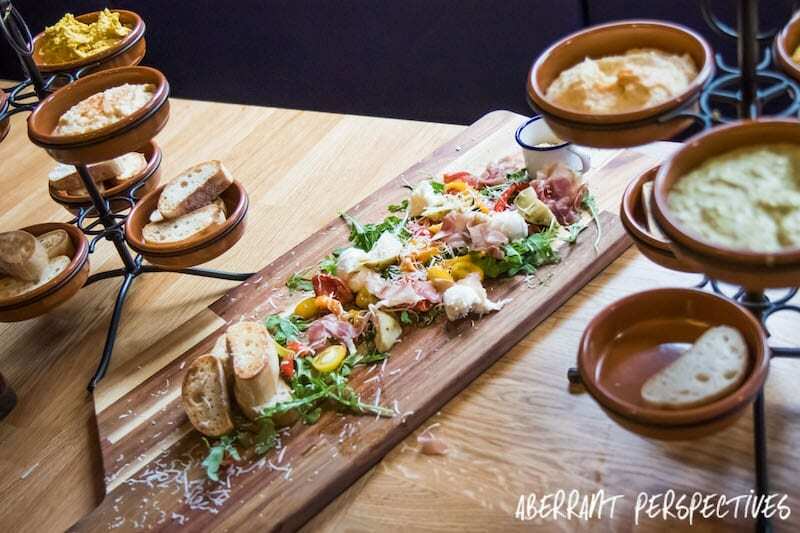 This consists of a wide variety of sharing platters with inspired taste sensations from around the world. 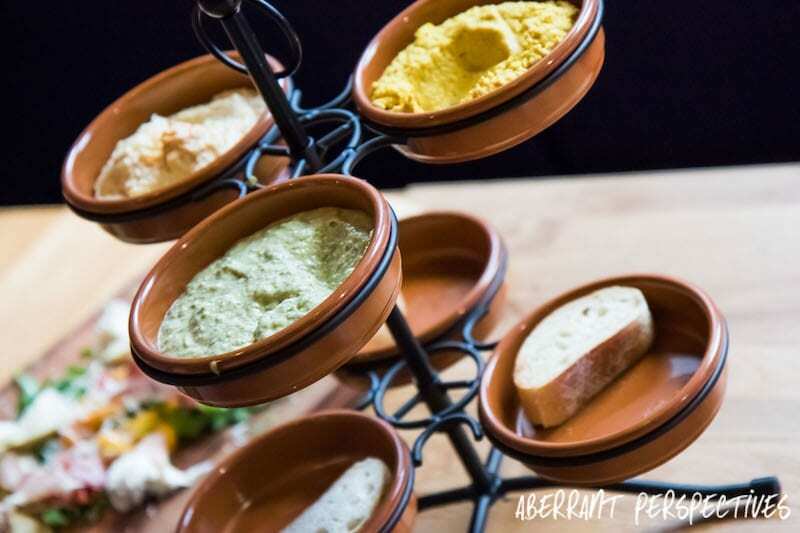 Warm cheese boards, tapas, street food, jerk chicken and an Italian meat feast are just some of the flavour filled delights that you can expect to enjoy sharing between two. The new range of side dishes include some very tasty additions; Patatas Bravas, Mediterranean pear couscous salad, halloumi chips and “skin on” fries, which are available with up to twelve different house seasoning options. These new side order options would be a perfect addition to anyones plate. Notably the hand made wood fired pizzas are available in a “create your own” style. The pizzas have four different types of bases. When you’ve picked your base, you simply choose what you want from their wide range of delicious toppings. Mouth watering burgers are still available on the menu. These come in a range of options, including beef patties, grilled buttermilk chicken, a Thai infused burger and their “Doctor’s own” vegetarian burger. Just like the “create your own” idea of the pizzas, the burgers also feature the option of choosing your own toppings from the wide ranging menu. 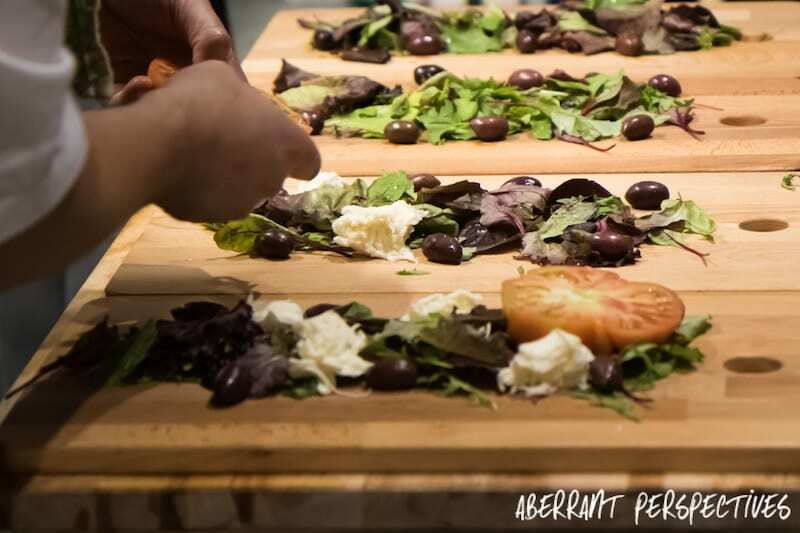 Additionally, they have a range of flavour filled salads (yes, that is possible!) They have a chicken and chorizo salad that comes with chargrilled peppers, couscous served on a bed of mixed salad leaves. There is also a halloumi and avocado salad. They also have a promising seasonal salad. Their most interesting item on menu is the ‘Black Rock’ dishes. These are available to order with a choice of fillet or sirloin steak or, if you’d prefer, a salmon fillet. These are delivered to your table on a hot ‘lava stone’, which provides an impressive table display that cooks your order right in front of you. The black rock dishes are available to order with either the seasoned house fries or watercress and parmesan salad. There is a food revolution happening in Urmston, and the Surgery Restaurant is right at the very heart of it. 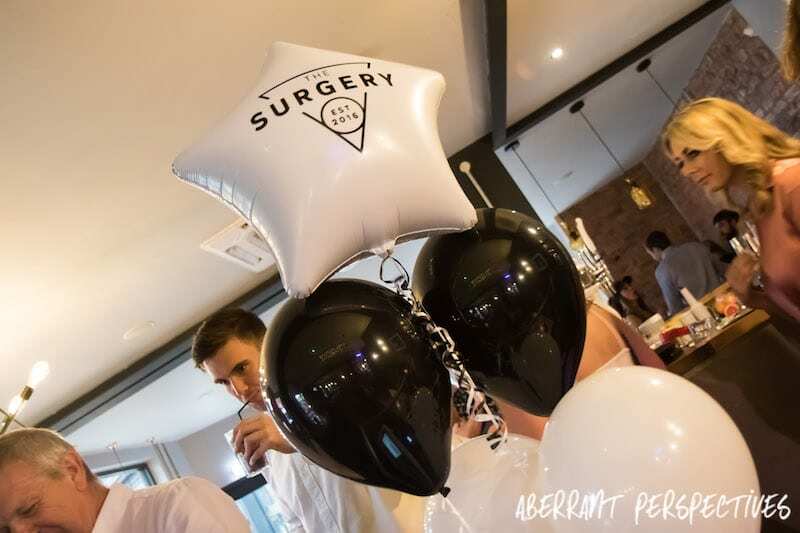 They are setting the standards high, with their combination of a stylish venue, great food and welcoming staff; it is clear for all to see why the Surgery Restaurant is already a popular place to go for food and drinks. 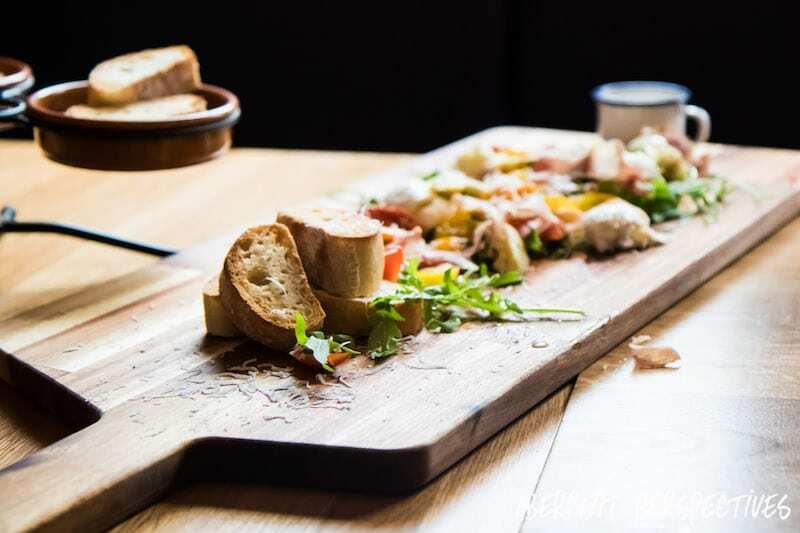 With their new approach to old favourites on the menu, and their new additions to the menu; the Surgery Restaurant is going to continue to be the place to be for food and drinks. To find out more information about The Surgery Restaurant, you can go to their website www.thesurgeryrestaurant.co.uk. The Surgery Restaurant Launches New Menu.